Anti-Chafe Contour Girth from Shires Equestrian. 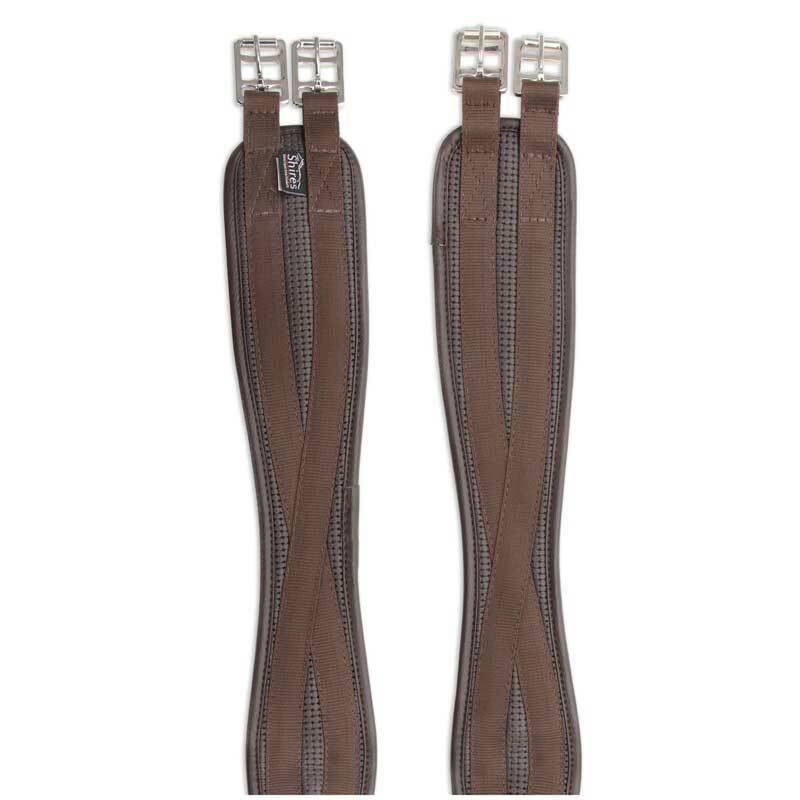 This synthetic contour girth is lined with anti-chafe cushion fabric. The textured surface of the girth increases airflow which helps reduce excessive sweat build up that causes chafing. Design features include shaping around elbows for freedom of movement, quality anti-rust roller buckles for easy tightening and long life. Available in 2" increaments from 30" to 60" and in black or brown.